Even if you are only running in the store for a quick minute, never leave your car idling. Criminals see this and know that they have a couple minutes to get in and go, leaving you without a car and everything that was in it. 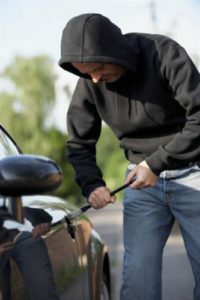 You should never have valuables left out in plain sight in your car. This is a red flag for criminals, as your iPod charger tells them there are more valuables to be found inside. Many motorists see no harm in hiding a second set of keys on their car, but this is extremely dangerous. Car thieves know where to look and will find your spare key if one is hiding. Most importantly, try to always park in well-lit areas. Contact Pierce Insurance Group in McKinney for all of your Texas auto insurance needs.